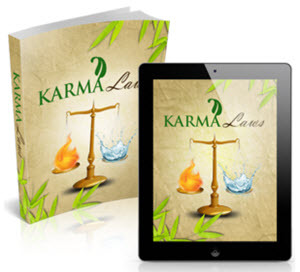 I highly recommend you to consider Karma Laws as your first choice. In Karma Yoga, the emphasis is selfless action. Karma Yoga transcends concerns of success or failure, egoism, and selfishness. What emerges is service to all beings. Because yoga teaches that every person is part of the divine universal spirit, Karma Yoga encourages that all beings on this earth be served with the respect deserving of a divine presence. The follower of Karma Yoga proceeds through daily life attempting to increase virtue and decrease lawlessness in the world by working for others and foregoing personal desires, resulting in greater empathy for and understanding of the world and eventually, full understanding, or enlightenment. (By Sri Sankaracharya) Atma tvam girija mitih sahacharah pranah sareeram griham. Puja te vishyopabhogarachana nidra samadhisthitih, Sancharah padoyoh pradakshinavidhih stotrani sarva giro Yadyat karma karomi tat tad akhilam sambhotavaradhanam. Repeat the Sloka at the end of your meditation. A raw untrained aspirant feels, My preceptor is treating me like a servant or a peon. He is using me for petty jobs. He who has understood the right significance of Karma Yoga will take every work as Yogic activity or worship of the Lord. There is no menial work in his vision. Every work is Puja of Narayana. In the light of Karma Yoga all actions are sacred. That aspirant who always takes immense delight in doing works which are considered by the worldly man as menial services, and who always does willingly such acts only will become a dynamic Yogi. He will be absolutely free from conceit and egoism. He will have no downfall. The canker of pride cannot touch him. Is there any greater Vedantin or Karma Yogin than Lord Buddha He still lives in our hearts, because the spirit of service was ingrained in him and he spent his whole life in serving others in various ways. You can also become a Buddha if you apply yourself diligently to selfless service with the right mental attitude. According to Jaimini, rituals like Agnihotra, Yajnas, etc., are termed Karmas. There is a hidden power in Karma termed Adrishta which brings in fruits of Karmas for the individual. Karma is all for Jaimini. Karma is everything for a student of Mimamsic school of thought. Jaimini is the founder of Purva Mimamsa. He was student of Maharishi Vyasa, the founder of Uttara Mimamsa or Vedanta. The Mimamsa school deny the existence of Ishvara who awards the fruits of works. According to the Gita, any action is Karma. Charity, sacrifice, Tapas are all Karmas. In a philosophical sense, breathing, seeing, hearing, tasting, feeling, smelling, walking, talking, etc., are all Karma. Thinking is the real Karma. Raga-Dvesha constitute the real Karma. This is the yoga of action, the system of attaining awareness through activity. It is performance of our daily work with constant awareness and at the same time without any expectation of reward. It is this living in the present which enables far more effective, efficient and powerful actions. By totally absorbing the self in the work at hand we tend to reduce the power of the ego. This is the essence of karma yoga, and results in less emotional and mental upsets in life. It helps to make the mind more calm and peaceful under any circumstances and more receptive to the practices of yoga. This in itself can lead to meditation. 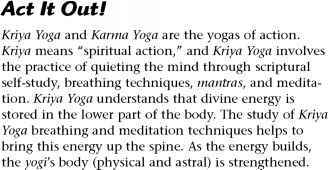 Karma yoga will be more fully discussed in later lessons6. The theory of Karma is that we suffer for our good or bad deeds, and the whole scope of philosophy is to approach the glory of man. All the Scriptures sing the glory of man, of the soul, and then, with the same breath, they preach this Karma. A good deed brings such a result, and a bad deed such a result, but, if the soul can be acted upon by a good or a bad deed it amounts to nothing. Bad deeds put a bart to the manifestation of our nature, of the Purusa, and good deeds take the obstacles off, and its glory becomes manifest. But the Purusa itself is never changed. Whatever you do never destroys your own glory, your own nature, because the soul cannot be acted upon by anything, only a veil is spread before it, hiding its perfection. People often anxiously watch their progress. Progress isn't linear sometimes you seem to take a step back, only to take a big leap forward in due course. Be diligent but relaxed about your Yoga practice. Perfectionism serves no purpose other than to frustrate you and irritate others. In aspiring to reach your goal, be kind to yourself (and others). Don't worry about what may or may not happen down the line. Focus on practicing now and leave the rest to the power of Yoga, providence, and your good karma (see Chapter 1). The goal of life is Self-realisation. There are two ways for attaining God-consciousness. They are the Pravritti-Marga and Nivritti-Marga. Pravritti-Marga is the path of activity with detachment for attaining the cosmic vision in and through the diverse experiences of normal life. Nivritti-Marga is the path of absolute renunciation or Jnana-Yoga. Karma-Yoga is only Jnana-Sadhana, i.e., means for attaining Self-knowledge. Three things are indispensably requisite for attaining Self-realisation. They are (1) Guru-Bhakti devotion and Prema towards the spiritual preceptor, (2) Jijnasa longing for liberation and (3) a taste for Satsanga. He alone who is endowed with these three attributes can cross this ocean of Samsara (Bhava Sager). The best approach is to worship both in the outside and the inside worlds, but with awareness. One should act and worship in the outer world through detached work - karma yoga. At the same time one should try to introvert awareness through hatha yoga and raja yoga. This is the integral approach. Y Shows the path of a Divine reincarnation an Avatar. Coming directly from God and returning directly to God. All his life is devoted to God - never being able to cause any Karma. Being all the time aware of his Divinity, such a Divine soul never has any deep roots on the physical or any other dimension beyond God. Living and serving God's purpose and Divine plan on earth or any other sphere is the only reason of being here. 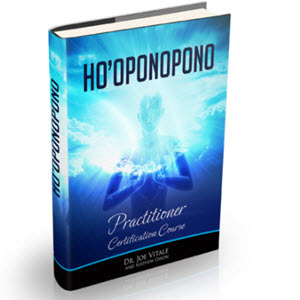 Be assured that ALL of the techniques for manifestation in this book are based upon enhancing your spirituality and cultivating your relationship with the Divine. I want to help you change your karma so you can have your heart's desire. Your karma (which is the spiritual law of cause and effect) comes from actions in your previous lifetimes. It is not necessary to prolong your karma in the name of God. 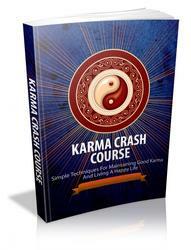 You can step right out of this karma, right now, using the techniques in this book. 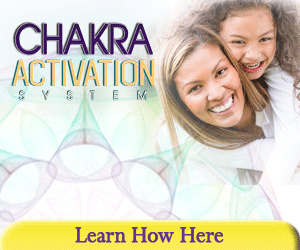 You can create a whole new life for yourself, a life of joy, abundance and Enlightenment. A soul - a human in a physical body as well - needs a true reason of life, a motivation to exist. This should be something eternal and absolute. Any soul is aware of its true origin in God - but are you aware, truly aware of it you, that means your present physical intellect is the guiding and driving force that causes and creates new Karma more often than loved by your soul and more often as good for your overall well being. Hence there is a finite and absolute need to learn to get in control of your mind. As the mind is the seed of new action, of new Karma that might soon be caused or dissolved, depending on the direction you are heading to and depending on the quality of your thoughts and emotions, fantasies and actions that you plan to do now or soon. Some Karma we have worked out already, some we are working out now in the present, and some is waiting to bear fruit in the future. That which we have worked out already is past and gone. That which we are experiencing now we will have to work out, and it is only that which is waiting to bear fruit in the future that we can conquer and control, so all our forces should be directed towards the control of that Karma which has not yet borne fruit. That is meant in the previous aphorism, when Patanjali says that these various Samskaras are to be controlled by counteracting waves. Drop it - stop defending yourself - defense is an aggressive reaction to aggression. Defense is aggression - no matter what the cause. Your defensive reaction most probably may lead to another Karma for you to suffer any time later. Love can never even be touched by aggression. Learn to absorb and dissolve aggressive actions, words or thoughts coming from others toward you in your developing Love within, these are but what you have distributed among others in earlier days of your present or any previous incarnation. The more you dissolve these aggressions from others by just continuing to love more and more and asking God to assist you in improving the quality, the purity of your Love, the less ammunition others will have, because your Karma is melting down in the fire of your continuous Divine Love toward all aggressive situations. The first thing to remember is that no indoctrination or autosuggestion is required. If you practise yoga then it will automatically show itself or to be more exact, if you do your practices correctly then awareness will gradually develop. 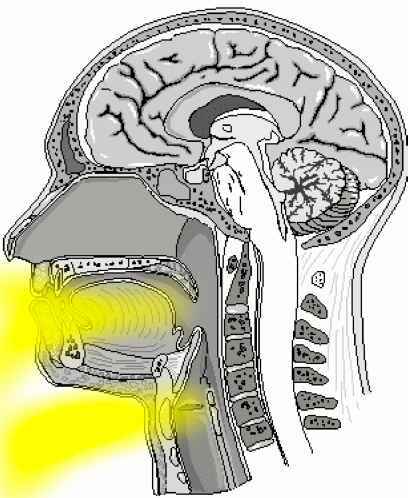 There are many different methods to increase awareness. In fact all the different methods of yoga - karma yoga, bhakti yoga, mantra yoga and kriya yoga - are designed for this purpose. They all use different methods to achieve the same end. The following exercise will show you how and lets you experience immediately how it feels. The following animated graphic shows you at the beginning an aura of a person with lots of stress and emotional turmoil. Like after a busy day or worries. Then you open up your sahasrara chakra and let God's Love and Bliss flow from top through your aura, through all of your body including your physical body, including all your cells of your body, your mind, your emotions, even your karma At the same time you open your muladhara chakra to allow all disturbing energy to flow out of your body. ALL. First of all there definitely is a need to immediately stop any action causing such turmoil in your emotions, mind and actions. This is done by conducting a peaceful life in harmony with the Divine. To start this, you need to learn again to listen to his Divine and loving guidance. It is all the disharmony in your thoughts, emotions, words and actions that caused the turmoil. All the Karma you ever created will collect and be with you, until you start to change your style of life. Serious study of all spiritual laws and practicing and applying them in every days situation of your job, business, family, friends, recreation, politics, and any other situation of your life will be the first step toward creating peace within. Perhaps you have been a monk or ascetic for many lifetimes. In those lifetimes, your priority had only been God. You rejected relationships, worldly pleasures, politics, and other activities in favor of a reclusive and ascetic life. These strong memories from past lives should be erased. I have dedicated a meditation for this problem that you will find in this book. It is called The Karma-Busting Mantra. 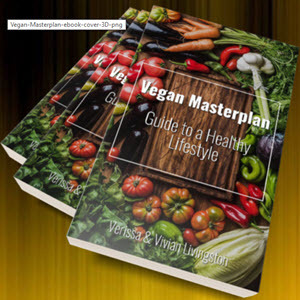 This book entitled Practical Lessons in Yoga consists of twelve easy and interesting Lessons. The First Lesson deals with Yoga and Its Objects. The Second Lesson treats of Yoga Sadhana or the practice of Yoga and contains a clear and lucid description of the four important paths viz., Karma Yoga, Bhakti Yoga, Raja Yoga and Jnana Yoga. One can easily choose for himself a path according to his particular taste, temperament and capacity by a close study of this Lesson. I firmly hold that no one wishing to become a perfect Yogi can realise his wish, if he does not begin his Yogic practices with Karma Yoga or doing actions for actions' sake, without the idea of agency and without expectation of the fruits of his actions. I have also made passing references to the various other forms of Yoga such as Hatha Yoga, Mantra Yoga and Kundalini Yoga. When you focus your visual perception toward a precise object, your mind also moves its focus toward that object. And while keeping all your attention consciously and controlled by your own and free decision on the object, your mind also gets busy with exactly that object you are looking at. This very simple exercise shows and proofs that you can direct your attention toward any goal YOU like - but YOU have to actively do it. YOU need to control YOUR mind - because it is YOURS as much as YOU have sometimes in your past learned to control the use of your fingers. To typewrite, handwrite, eat, sign, play music, drive car, or anything YOU needed to learn. Mindcontrol is something we ALL need to learn more than most other topics we have learned in this material world. 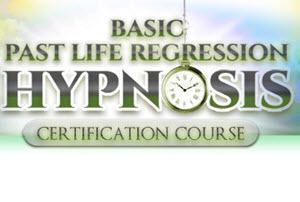 Control of your mind gives you control of your life and hence of your entire Future - Karma - Godrealization and more. All words, thought, spoken or written come true, all your imaginations whatsoever have the power to realize themselves. With our words, thoughts and our imagination we have a great impact on our environment. We can influence others to behave in a certain way for our personal - egoistic -benefit or we can learn and practice to help others to become healthy, free and enjoy life. We can help others to realize their Divine potential or to weaken them. Whatever you do, however you decide consciously or subconsciously to use the power of your words, thoughts or imaginations, always keep in mind the law of karma whatever you do to others is coming back to you. The Ishavasya Upanishad Large numbers of yogic-tantric scriptures proclaim the importance of a psychic symbol in meditative practice. Probably the briefest and profoundest explanation is given in the Ishavasya Upanishad. In slokas 9,10 and 11 it emphasizes the importance of balancing ida and pingala, and the importance of karma and dhyana yoga. These three verses and their implications are described in our previous discussion - 'The Balance of Life'1. 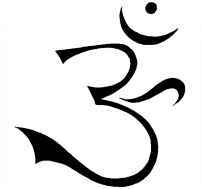 The next three slokas 12, 13 and 14 are concerned directly with the use of a psychic symbol. The first relevant sloka can be translated as follows Those who worship the unmanifest reality enter into blinding darkness those who worship the manifest enter into even greater darkness, (sloka 12) This verse has many meanings we will confine our discussion to its implications regarding laya and the psychic symbol. The yearly cycle of the sun was regarded by many ancient cults and religions as symbolic of the life of man, and in fact of ail living things. The birth date of the sun took place three days after its winter solstice. This is because the sun was regarded as dying on its winter solstice (i.e. 22nd December). At this time its power, the intensity of its rays is the lowest (in the northern hemisphere). Three days later (25th December) the sun could be easily and distinctively seen to start to grow stronger and the days start to become longer. This symbolizes the rebirth of life, but more importantly, it symbolizes rebirth into spiritual consciousness. This date was important in many ancient cults, and still is in many religions today. In this lesson we have described uddiyana bandha, garudasana and the second part of nada yoga practices, along with the fourth and final discussion on bhakti yoga. Those who are not bhakti inclined should try to practise karma yoga and some of the other techniques outlined in this book. Without prana, nothing can exist or function. Everything is prana in a myriad of different shapes and forms. Without prana there is no life. Furthermore, without prana it is not possible to practise yoga. It is pranic flow that allows one to practise asanas, pranayama, karma yoga, bhakti yoga and so forth. Meditation cannot arise without an injection of subtle prana. And the flow is spontaneous. It happens one cannot really make it happen. Karma is the law of cause and effect, or what goes around comes around. Everything you do, say, or think has an immediate effect in the universe and in you. Karma is not negative. It is neither bad nor good. It is the movement toward balanced consciousness. Karma is the law of cause and effect, or what goes around comes around. Everything you do, say, or think has an immediate effect in the universe and in you. Karma is not negative. It is neither bad nor good. It is the movement toward balanced consciousness. Recently I was watching television and saw on CNN that one Erika Greene was a winner in a multimillion dollar lottery drawing that took place. It reiterates several things that I have taught about karma, grace and numbers. There are many secrets about the use of numbers, and the visualization of specific numbers in certain patterns can alter your destiny. Starvation is one hundred percent curable and poverty is one hundred percent reversible. In India, it takes only 22 cents U.S. to provide a meal for a hungry child. This comes to only 20 U.S. to feed a child for an entire month. Every penny counts. And, taking action to help feed the hungry is a powerful way to destroy the three demons of ego, maya, and karma. The Tripura Foundation charity projects are a pragmatic way to benefit the suffering of humanity and accelerate the process of attaining higher consciousness. It is Sri Siva's desire to see these charitable efforts grow and flourish and improve the quality of life for many, many people. Buddha advocated but put in different words. This balanced attitude towards life, both internally and externally, will bring greater selflessness. It will arise spontaneously through understanding brought about by the simultaneous development of inner awareness and outer expression. It arises through simultaneous balancing of the ida and pingala at all levels. This is the way to unfold the potential that is your heritage. Bear this balance in mind and apply it as much as possible. Practise meditational techniques etc. in the inner world combined with karma yoga in the outside world. This is so important. Shri Mataji , Thou art, in solitary Glory, the Creator, the Maker, the Absolute Doer. Thou art the Slayer of the hosts of Mara and the only real Mahat-ahamkara. Thou only can save us from our karma and remove the threat of the impending doom, called upon ourselves by our own misdeeds. Please, Shri Mataji , undo the evil that men have done. These and other evils are the fruit of our karmas. May they be blown away by the wind of the Holy Spirit.